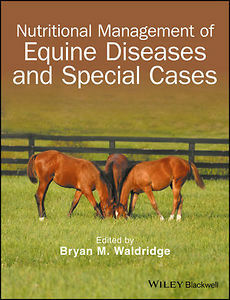 Nutritional Management of Equine Diseases and Special Cases offers a concise, easy-to-comprehend text for equine veterinarians with questions about commonly encountered nutritional problems. Emphasizing clinically relevant information, the text includes coverage of nutritional problems and specific impact on the musculoskeletal, neurologic, gastrointestinal, endocrine, and respiratory systems in ponies, miniature horses, draft horses, donkeys, and mules. Mycotoxins and poisonous plants are also included. The book provides practical guidance on using nutrition to help special problems frequently seen in practice. 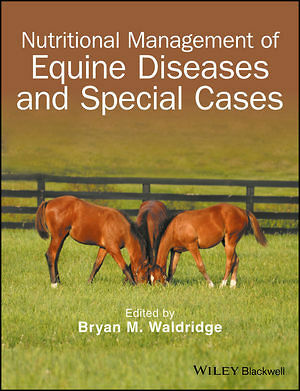 General practitioners and specialists alike will find Nutritional Management of Equine Diseases and Special Cases a must-have resource when dealing with patients with special nutritional needs.